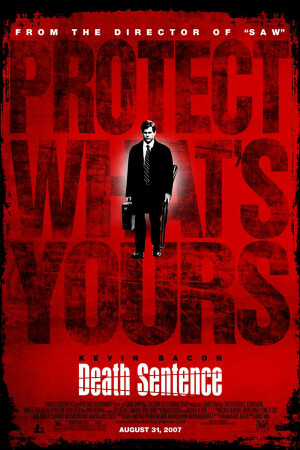 Based on the sequel novel by “Death Wish” author Brian Garfield, “Death Sentence” is a violent revenge thriller that stars Kevin Bacon as mild-mannered insurance adjuster Nick Hume, whose perfect family life is suddenly torn apart when his teenage son is killed during a robbery. When the thug responsible for his son’s death walks free, Nick decides to take matters into his own hands, with devastating consequences. The murder of his son transforms Nick Hume from a caring friend to bitter, vengeful wreck. Intent on avenging the murder by killing everyone who was involved in the death of his son, Nick is a shdow of his former self. Harbouring both grief and anger, Hume is determined to make the culprits pay, but they themselves have their own agenda.